We will be officially starting the new school year in a few days. By starting with a field trip and then a week of music camp, I have put off the book work for an easier transition to school. 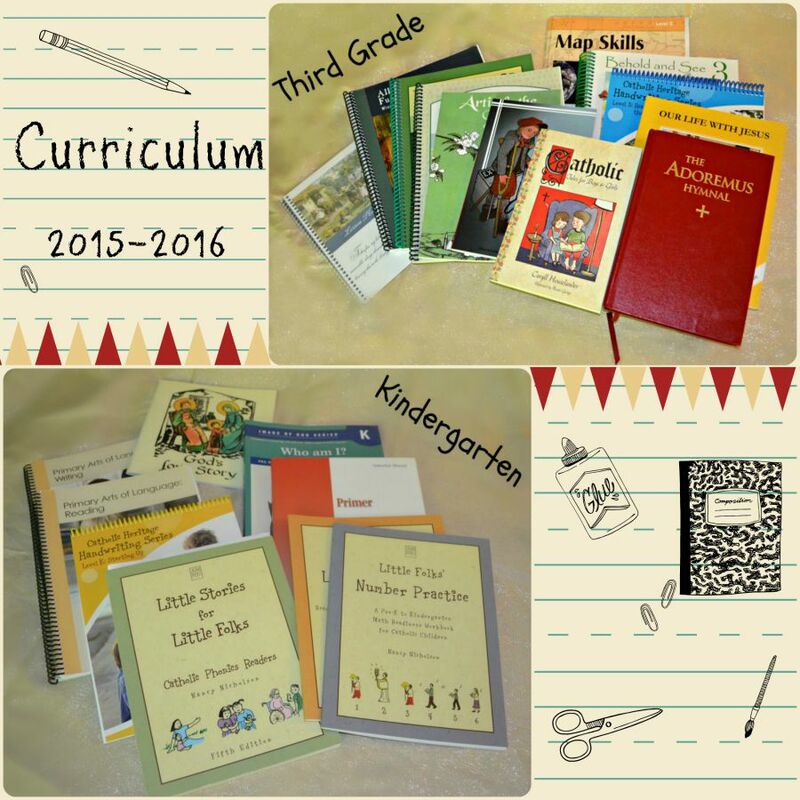 Last year's curricula was a BUST! We ended up plodding through it until February when I gave up and we went in a completely different direction. While the idea of unit studies sounds like a ton of fun, the reality was a lot of stress for me as a working mom. 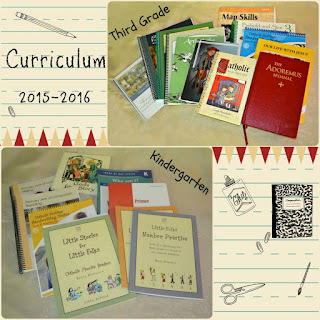 Instead of RC History, we worked in some Catholic Heritage Curricula books to try it out. It was so much smoother so I decided to use it for this upcoming year. My husband and I went to the National Immaculate Heart of Mary Home School Conference in June and we were completely uplifted by the conference. I showed the books off to my husband and we were both sold on CHC with a few minor modifications. The most exciting part is that the lesson plans are all laid out for me! Earlier this year I bought a Michele Quigley Planner (daily and lesson) to help keep me organized during the busy months of the school year.